"I write from my imagination with passion and a touch of heart." When Susan Reichart, editor at Southern Writers Magazine indicated the Sept/Oct issue would include Brass Notes Over Wolf Creek in the Magnolia section I was delighted. Check out the Magazine and site with its wealth of articles and reviews. Happy reading and writing to all. Darcy Love is a woman always on a mission When Jake comes home to find a message that she has left him, "What mission is she on now and why would she ever leave me?" Her message leaves Jake on a tailspin journey that forces him to face a past he has tried to escape and a present he didn't know existed. This is a story about love. This is a departure from my science fiction and fantasy writing. It is real, very real. Earthy. Eleven year old Jen tell her story summer 1945 in Wolf Creek, Iowa. A tangle of friendships in the midst of the tormoil and mourning brought to Wolf Creek during World War II, Jen has a summer she will never forget and that is what she wants to tell you about. From Carol Bodensteiner, author of Growing Up Country: "The story of how a little girl rises to the challenge and makes a difference in her community during World War II delivers for both adults and children." From Myrna Sandvick, author of R.F.D. Iowa; A collection of Poems. 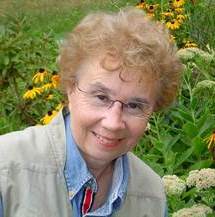 "Janice Abel gifts us with her newest novel which depicts with perfect pitch the song of adolescent struggles complicated by the intrusion of World War II into the peaceful rural harmony of Wolf Creek, Iowa - A must read." "A step back into a time full of patriotic verve and a young girls dreams. I laughed with Jen and cried with her. You will too I promise." 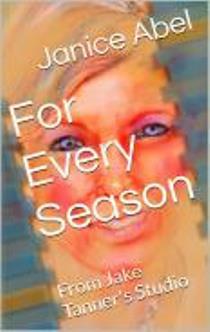 also available through major on-line bookstores.